Why Should Young Dentists Wear Dental Loupes? Dentists do not wear dental loupes just because they want to or because it is the standard trend of today's modern dentistry. 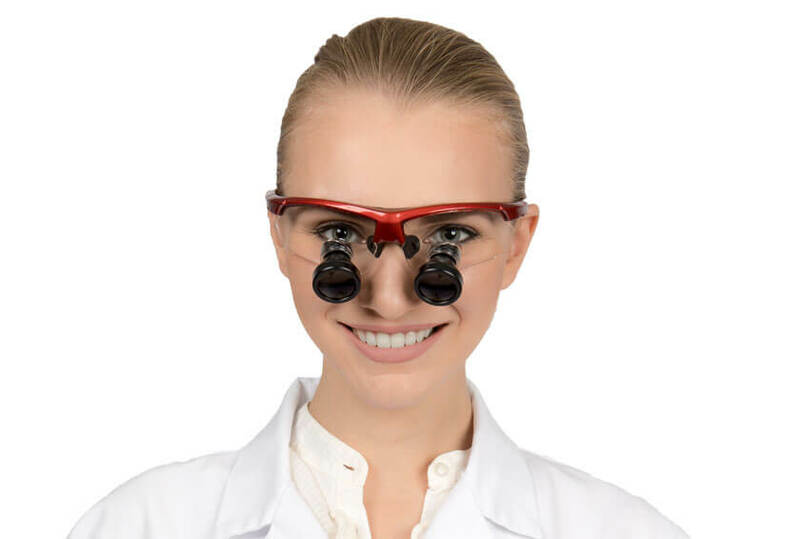 Wearing a dental loupe is absolutely not for fashion, either. Well, as you see it does not even look good and fashionable. But despite its awkward and robotic effect on the physical look of the wearer, many dentists still choose to use them. There are many reasons why dentists should wear magnification devices such as the loupes. Another reason why dentists should wear dental loupes is that they improve your visual acuity. Better vision and proper magnification allow you to easily see more intricate details of the oral cavity. You can be able to see even the slightest and smallest issues in the gums and teeth of your patients which are often missed out when viewed when just the naked eyes. This does not only help you come up with a more accurate assessment of your patients' dental condition, it likewise makes your job a lot easier and faster which in return can make you become a more efficient, effective, and reliable dentist. This entry was posted in Dental industry news | Schultz Dental surgical blogBy Roger Jing On Jun 07, 2017 .